My friend Saori and I are big fans of umeshu, Japanese plum wine. It is a popular drink among women, and it’s served in most restaurants in Tokyo. We both like it on the rocks, but some people drink it with a splash of soda in it. It’s made by basically fermenting young plums in sugar and alcohol. It can be sweet or not, and like other wines, the longer it’s aged, the better the taste. 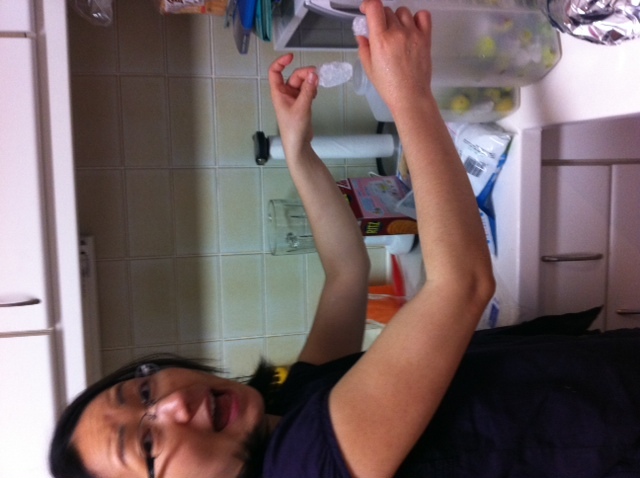 This weekend, Saori and I decided to try our hands at making our own umeshu. 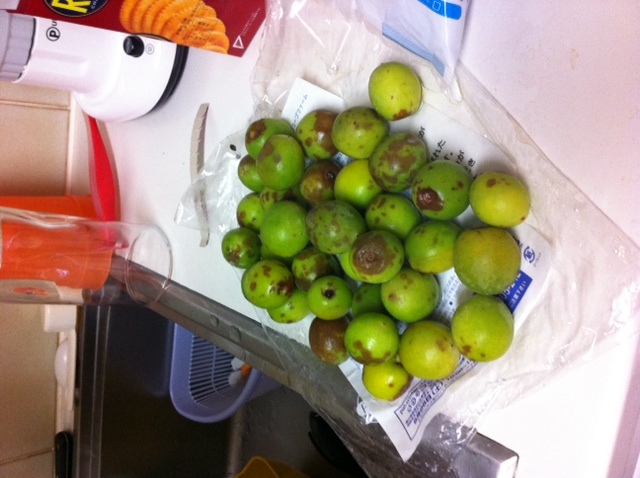 I bought the tiny, round, green plums, a bag of rock-sugar and a huge container of plain alcohol. We put it all together into two containers, and each took one to put under the kitchen sink for the foreseeable future. Luckily it’s summer – and we won’t have a chance to be together until August anyway. It needs to age at least 3 months, but the longer the better. We’ve resolved not to drink it until we can do it together. I can’t wait to see how our little experiment turns out! Watch this space in a few months for a result of the taste-test. sounds good. 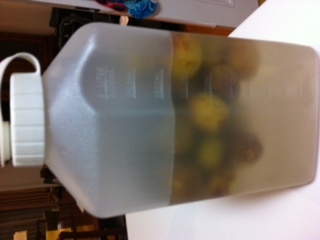 My friend Jane makes Lemonchello by zesting 2 Dozen lemons and does the furmenting with grain alcohol. What a kick. Enjoy! !